Optimal health and well-being require that carbohydrates, fats, protein, vitamins, minerals, and other micronutrients be supplied to the body in adequate and balanced amounts. These macro- and micronutrients are vital for normal organ development and functioning, for cell reproduction, growth, and maintenance; for high energy and working efficiency; for resistance to infection and disease; and for the ability to repair bodily damage or injury. No nutrient works alone; each is dependent on the presence of others for its best effects. Although everyone needs the same nutrients, each individual is different in his or her genetic and physiological makeup and therefore individual quantitative nutritional needs differ. Prevention is the wisest strategy in keeping healthy by getting periodic health checks, eating a nutrient-dense diet, exercising on a regular basis, and reducing or managing stress. The foods eaten by humans are chemically complex. They must be broken down by the body into simpler chemical forms so that they can be absorbed through the intestinal walls and transported by the blood to the cells. There they provide energy and the correct building materials to maintain human life. Digestion is a series of physical and chemical changes by which food, taken into the body, is broken down in preparation for absorption from the intestinal tract into the bloodstream. These changes take place in the digestive tract, which includes the mouth, pharynx, esophagus, stomach, small intestine, and large intestine. Beginning in the mouth, chewing breaks large pieces of food into smaller pieces. Food that is masticated well allows for more complete enzymatic action. If left in chunks, food that passes into the stomach and intestine will likely remain undigested as enzymes are only able to work on the surface of these larger particles. The enzyme that is secreted in the mouth from the salivary glands is ptyalin, which is necessary for the breakdown of carbohydrates. Ptyalin breaks the starch chain into smaller sub-chains. Certain links of a fibrous nature cannot be broken and their components are left inaccessible to the body. The masticated food mass passes back to the pharynx under voluntary control, but from there on, through the esophagus and into the stomach the process of movement is carried on by peristalsis, a slow wavelike motion occurring along the entire digestive tract. As there are no enzymes released in the stomach for further starch digestion, ptyalin continues to work if an alkaline condition remains. Division into simple sugars occurs later in the small intestine where the pancreas secretes the enzyme amylase. are hydrochloric acid (HCl) and a number of enzymes, including pepsin, which digest protein. These enzymes need an acid environment in order to break the amino acid bonds. The stomach actually begins secreting HCl and other enzymes while protein food is still being chewed, as the body reacts to the sight and taste of the food. The first stages in the digestion of protein can take several hours after which the partially digested food passes into the small intestine where further breakdown of the amino acids takes place as the pancreas secretes the enzyme protease. Experiments with animals have shown that the stomach has a built-in timetable for gastric secretion. When bread, which contains both carbohydrate and protein, is swallowed, little HCl is released at first while a large amount of pepsin keeps the climate in an alkaline condition and allows ptyalin to continue digesting the starch. Meanwhile, the pepsin begins working on the protein. Once the carbohydrate process is near completion, more gastric juice is released that rapidly accelerates the digestion of the protein. It was also discovered that foods arranged in the stomach remain in the order they are eaten even while the contents are being churned; and liquids consumed while food is in the stomach pass around the food mass and enter the small intestine. Liquid alone leaves the stomach rather quickly unless it is a thick mixture or puree. Fruits are next, then vegetables, unless eaten with fat or sauces, followed by starches, and then starches mixed with legumes or meats because of the added protein content. Fats take the longest and slow emptying of the stomach if combined with any other food. Stimulants such as coffee, tea, and strong spices can hasten emptying time of the stomach and may also affect digestion by irritating the stomach walls. Certain food additives and excess salt may have the same effect. Cells in the stomach also secrete mucus. Mucus inhibits the gastric acids from digesting the stomach itself. The mucus constantly flows across the surface of the stomach to maintain the acid and enzyme balance. Too much acid can result in an irritated or ulcerated stomach. Over abundance of mucus, however, can encourage bacterial growth because gastric acid is necessary to keep the intestinal tract free of bacteria. It is estimated that nearly half of the population may be deficient in HCl, especially among the elderly. After one to four hours, depending on the combination of foods ingested, peristalsis pushes the food, now in the liquid form of chyme, out of the stomach and into the first part of the small intestine through a valve called the duodenum. The pancreas secretes proteolytic enzymes in varying proportions depending on what kind of food is present. If there is any fat, bile, which is produced by the liver from cholesterol, is released from the gallbladder where it has been stored. Bile disperses the fat globules into small droplets so that the pancreatic enzyme lipase can break them down into fatty acids. If bile contains large amounts of cholesterol, crystals or stones can form in the gallbladder. The crystals obstruct the flow of bile into the small intestine and inhibit fat digestion. Cholesterol levels rise, and if the stones become so large they completely block the bile ducts, pain results. After the bile salts are finished they are transported out of the body through the elimination tract. Quick exit time through bowel action decreases the amount of cholesterol that remains in the body as bile salts. If contents of the bowel move more slowly, the cholesterol can be reabsorbed and recirculated in the system. Food molecules continue to be broken down as they move along the remaining 20 ft or so of the small intestine, which is lined with millions of fingerlike projections called villi that give a furlike appearance. These villi contain microvilli which greatly increase the surface area available for absorption. Nutrients are absorbed by the villi and carried through their tiny blood vessels into the bloodstream. Normally, the villi act as a filter and barrier for undesirable and harmful elements by preventing their absorption. However, this defense mechanism can be compromised and weakened by a number of conditions including chronic irritation from harsh stimulants, undesirable microbes, pharmaceutical and recreational drugs, pesticides used on foods, and other environmental pollutants. Once the nutrients have been transported into the bloodstream they are ushered into a large vein called the portal vein which flows into the liver and branches out into numerous capillaries. From this blood, cells in the liver begin to filter out the nutrients, processing them either to be sent out to cells in the rest of the body or to be stored in the liver for future use. Amino acids are reformed into new protein configurations and rereleased into the blood. Sugars that are not needed by the body at the moment are hooked together to create huge storage molecules called glycogen. When the liver is in a healthy condition, sugars are readily processed then released or stored while sugar content of the blood remains at a constant level. If the liver is not functioning properly, however, sugars may not be modified appropriately and can flood into the bloodstream unprocessed. The liver not only processes nutrients but must detoxify all the harmful substances the villi were unable to prevent from being absorbed into the bloodstream. Other situations that can tax the liver considerably include overeating and eating foods that are refined. Refined foods are missing the nutrients they need to be properly metabolized. If the liver can no longer filter and cleanse the blood, or properly metabolize nutrients, or take care of its own health, it is because liver cells are damaged or begin to die. Liver damage is not easily detected by conventional testing and its condition may not be known until dysfunction becomes apparent through illness. Symptoms may range from headache, diarrhea, constipation, food sensitivities, flatulence, sleeplessness, and aching joints to cirrhosis and hepatitis. On the lower right-hand side of the abdomen, the small intestine ends and the large intestine, or colon, begins via the ileocecal valve. The colon is mainly for elimination and contains a thriving population of bacteria. Most nutrients have been removed and what remains is fiber and water, which is soon absorbed. Bacteria, while simultaneously feeding on the food mass, begin to break down the tough fiber molecules, creating an appropriate texture for elimination. The kinds of bacteria found in the colon determine what effects the last stage of the digestion process will have on health. A predominance of beneficial bacteria will protect the lining of the intestinal tract from damage and irritation or infection that can be caused by undesirable bacteria, and will detoxify or neutralize any harmful substances. A diet that includes plenty of whole grains, legumes, fruits, vegetables, and fermented products like miso, soy sauce, and yogurt or acidophilus encourage growth of these beneficial bacteria. 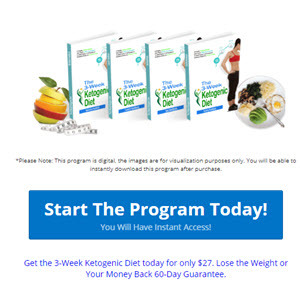 They in turn exert their considerable influence in keeping the colon in a healthy and vibrant condition. Never before revealed. 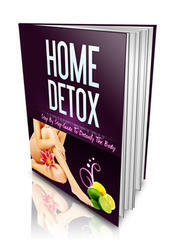 Home Detox - Step By Step Guide To Dextoxify The Body. Has too much late night behavior and partying got you feeling bad about yourself? Are you trying to lose weight but nothing is happening? Maybe you are just sick of all of the toxins that are in the air you breathe, the water you drink and the foods you eat. If so, then you need to do something about it. If you find yourself feeling bad about your health, there are ways that you can help your body right at home.